Breakdance gets its start in the early 1970’s. It is one of the oldest forms of all the hip hop dances. It is a big part of the hip hop culture. It was developed in the South Bronx area of New York. A key influence for breakdance, were the moves of James Brown done while performing his song “Get on the Good Foot”. People all over tried mimicking his moves in their homes and at parties. In the club, DJ Kool Herc, helped break-dancing evolve with his unique style. The original moves were mostly fancy footwork and body freezes. There weren’t as many intricate tricks or head swivels. Once dancers started to add smoother steps and body movements, a true dance style was born. The dance gained popularity in dance clubs. 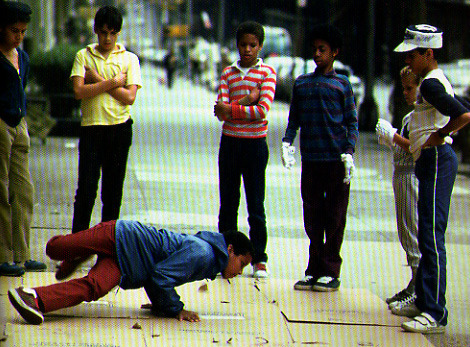 Once break-dancing started to evolve, dancers would add different types of dance moves. They started dancing “on the ground”, known as groundwork. There were stylized leg movements known as “downrock”. More moves were added, including handgliding, backspinning, windmilling and headspins. The moves became flashier. These are a lot of the moves that we see in breakdance today. This dance gained more popularity in the 1980’s and 1990’s. It is now seen in movies and on television. There are whole movies based on people who breakdance. Now hip hop and break-dancing are taught in dance studios all around the country.